As disgraced British bank HSBC considers moving its headquarters to Asia, many UK tax payers have welcomed the news. The banking giant, which previously assisted criminals in dodging tax, cited regulatory changes as a driving factor for its move. HSBC is pondering selling off its UK retail unit in a lucrative £20bn deal, as it reviews whether it should remove its headquarters from the City of London to less stringently regulated pastures. Last week, the bank cited Britain’s shifting regulatory climate along with increasing operational costs as leading push factors for the move. Destinations under consideration include the bank’s former home Hong Kong, a range of other Asian hot spots and New York. Of particular concern to HSBC is Britain’s rising bank levy, which is increasing year on year. And like other banks based in the UK, HSBC faces pressure to sever its retail arm from its investment banking arm by 2019. Such a move falls under the government’s strategy to tackle the “too big to fail” characteristic of banks that caused the 2008 financial crisis. A possible Brexit from the EU should the Conservative Party win May’s general election has also been cited as a motivating factor. The prospect of terminating Britain’s EU membership is viewed as unwelcome by many key City players. Unlike Royal Bank of Scotland (RBS) and Lloyds, HSBC was not bailed out by UK tax payers during the global financial crisis. However, it has been denounced in recent months over its role in the most serious tax dodging scandal in modern banking history. A colossal cache of files leaked by Falciani to the International Consortium of Investigative Journalists (ICIJ) shed light on these practices. The files specifically revealed the bank’s alleged complicity in tax evasion and aggressive tax avoidance between 2005 and 2007. They also shed light on HSBC's policies of doling out large amounts of cash to clients in mixed currencies, and offering banking services to drug traffickers and criminals. As news of HSBC's involvement in industrial scale tax dodging surfaced, Labour MP Austin Mitchel said Britain’s tax avoidance industry had eclipsed its tax collection industry. 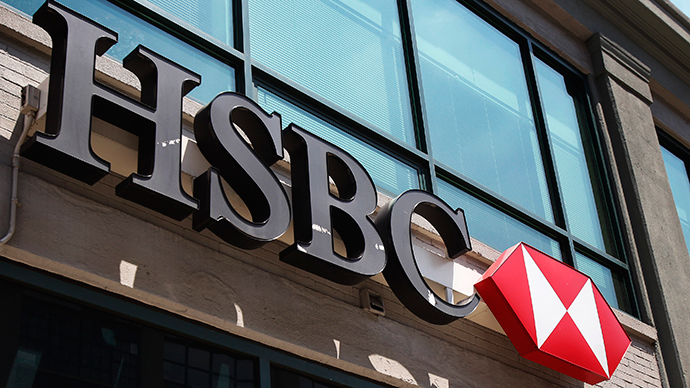 Like many leading British banks, HSBC has been engulfed by scandal in recent years. The bank was fined by regulators for fraudulently mis-selling payment protection insurance (PPI) to unwitting customers and manipulating foreign exchange markets. It was also fined heavily by American regulators for breaching US anti-money laundering regulations. News of HSBC’s departure from British soil has prompted a 0.6 percent hike in the bank’s shares since April 24. HSBC employs a total of 48,000 people in Britain. In March, the bank said it plans to relocate its British head office to Birmingham within the next four years, a move which would see 1,000 jobs transferred from London to the English West Midlands. The bank was first founded in 1865 in Shanghai and Hong Kong, and later relocated its headquarters to London in 1993 after buying up Midland Bank in Britain. Midland was part of the global FTSE 100 index, and provided business support and banking to leading manufacturers and business people.